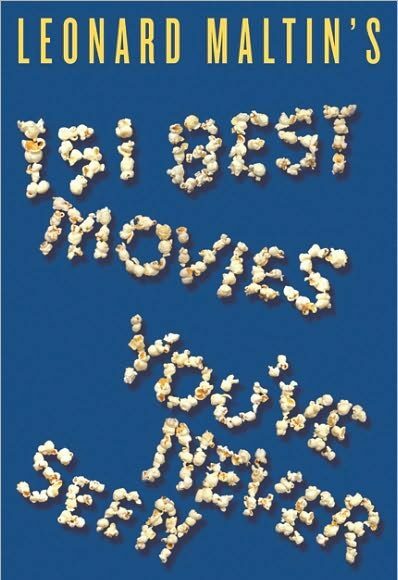 Leonard Maltin Chats About His New Book - 151 Best Movies You've Never Seen - Are You Screening? If you’re a fan of movies, and I mean a real fan, one of the things you love most is sharing those lesser-known titles. Now sure, everyone likes talking movies and sharing their thoughts about them to some degree or other. Most people play critic on Monday, talking up (or wildly trashing) whatever they happened to catch that weekend. But, if you’ve ever thrown out that virtual unknown as a recommendation, and had your… victim… return singing its praises, then you have an idea what it’s all about. There’s that little, instant in-group bias that kicks in. That curious sense of added depth of relationship that seems to come from suddenly “knowing” someone who liked that film that didn’t make it to mainstream awareness for one reason or another. You can get a certain sense of the same thing when people love or hate the mainstream big shots, but it’s a completely different idea when you’re talking about Big Night, The Legend of 1900, or Pumpkin (those are from my list, not his), and that’s on the fairly good end of the obscurity spectrum. Of course, there’s always just that strange pleasure that comes from the idea that without you, that person may have never found that little treasure. 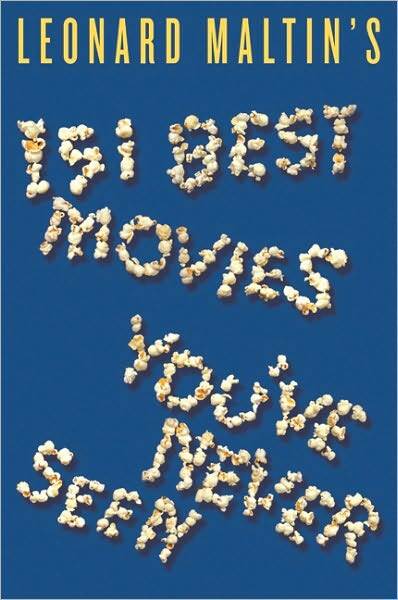 Born of this occupational hazard, Leonard Maltin has a new book out, 151 Best Movies You’ve Never Seen. In it, Maltin puts together a unique mix of genres and a widely-spaced timeline (focused on newish), and convinces you to see them all. It’s a hell of a list, and it includes some of my favorites, but the key is the two pages or so of personal appeal each film gets. I got to talk to the man himself recently, and as you may imagine, two film critics tackling the general subject is a recipe for loss of focus. Maltin tells me that his own efforts along the standard recommendation line started with House of Games, but after a while that became almost a cliche answer to the lesser-known film question. It has recently become The Lookout, but over time he’s been forced to develop a list, and the eventual result is not only this book, but also his ReelzChannel show, Leonard Maltin’s Secret’s Out. Now, I know what you’re thinking. In fact, to a certain extent I’m inclined toward the same initial reaction. A long-time film critic puts together a list of movies that few people have seen, and what pops into your head is boring, artsy, foreign, cerebral stuff, with no one I’ve heard of in it, and frankly, you probably never saw them quite on purpose. Let me assure you, this is not that list. Most of them are post-2000, almost all of them have at least one person you know, and Bubba Ho-Tep is on the list. That’s a different sort of list. Maltin calls this a very personal list. There aren’t any films in the book based on merely a sense of appreciation. They’re only there if he finds them wonderfully enjoyable. As you read through the book, there are even some that he fully acknowledges were destroyed by the majority of critics, and there are those that he admits are not, in some sense, “great films,” but they’re fun, interesting, and deserve more attention. You may wonder, as I did, how we arrived at the number 151, and it turns out that it’s simply a kind of ‘strange number marketing,’ but I was interested in getting to that number from a different angle. 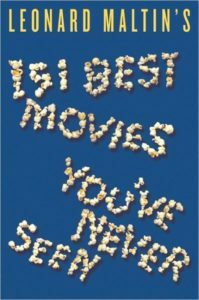 At first glance, 151 movies may seem like quite a pile, but I was rather astounded by the task. I had to wonder how I would stop adding things to such a list. Despite discussing this with him for a while, I’m not sure I ever really got a handle on just how the list came together. He mentioned trying to work a good balance, not only of genres, but of those that really are great, those that are good fun, and a few that are perhaps somewhat goofy. He also said that there had to be a few documentaries, and a couple of older titles, but for the most part he wanted a contemporary, well-rounded list that had something for everyone. It was quite an honor to get a chance to talk movies with one of the best-known critics around, and truth be told, the majority of the time we were only tangentially talking about the book. You might say that for much of the time we were actually talking about what the book stood for, rather than the book itself. It’s fun to mention some favorites that are included (like Waking the Dead), and run through their merits with someone else who is a real film lover, but it’s hard (or at least it was for us) to avoid repeatedly shifting to talking about why such movies become part of such lists. He explained his theory to me, which may actually seem sort of obviously true, and the theory is that the general public is so brainwashed by the behemoth that is media and marketing, that if a film doesn’t have a giant press push, it must be because it isn’t any good. There are probably a host of ten-dollar words psychologists could kick around the subject, but it seems that the public generally has latched onto the idea that if a studio really believed in their film, they’d let you know about it. Expanding on that idea, there is something about the mere fact that you’ve never heard of a movie that is hard to ignore. Beyond the marketing money, when you run into a movie, you just can’t help but think it must not be that great, or someone would have told you. Well, Leonard Maltin is telling you, and I’m here to tell you that I’m behind virtually all of these films as well, and even if you end up not liking any of them (incredibly hard to imagine), the book is worth a read anyway. It’s a personal list, as he says, and his take on these films makes for a great read. I have to also mention that his Classic Movie Guide is newly updated with more than 300 additional titles, and a great many revisions and additional information.